Drew Colby (born in Great Britain) has worked with puppets in Southern Africa and the UK for over 30 years. 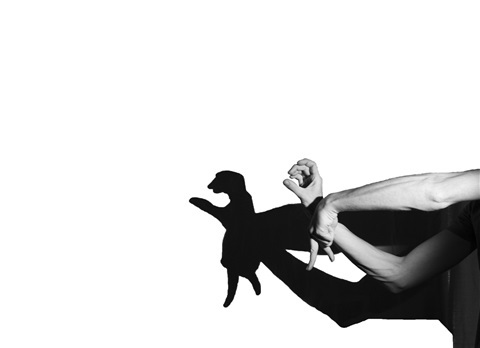 He began with glove puppets and marionettes at the age of 12, whilst at school in Namibia. His first professional work was from 1995 – 1998 at the Playhouse Puppet Company in Durban, South Africa. Work spanned traditional double-bridge, long-string marionette shows, open stage bunraku-style puppetry, and performances with mixed styles of puppetry, acting, mask work and dance. From this experience Drew developed work over the next three years using open-stage short-string marionettes and rod puppets. The culmination of this period was a performance of “Madiepetsana and the Milk bird” at the 1999 International Festival of Marionette Art in Prague, Czech Republic. Drew returned to the UK in 2000 and worked at the Little Angel Theatre, notably with Steve Tiplady on “Jonah and the Whale”, in 2002-2003. Drew's fascination with everyday objects grew out of this experience - during this time he created "Little Red Riding Hood", seen at the Battersea Arts Centre, Norwich Puppet Theatre and a summer season at The Little Angel Theatre in 2003, in addition to other prominent London and UK venues and festivals. This performance contained his first work with hand shadows. The show had only one pre-made puppet, and this led Drew to explore “instant puppetry”, where there are no pre-made puppets, only everyday objects being brought to life to tell a story. This process led to hand shadow work, which is theatre created simply out of absences of light, the puppeteer's ability and the audience's imagination. It is the ultimate instant puppetry. 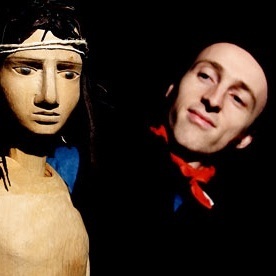 In 2011 Drew was awarded the Puppet Centre Trust professional development bursary to travel to Azerbaijan and work with Georgian hand shadow theatre Budrugana Gagra. He won the inaugural West End Phoenix Artists Club Cabaret Award in 2018. Drew has performed in venues and at festivals in Britain, South Africa, Namibia, Uganda, Kenya, Egypt, Turkey, Czech Republic, France, Finland, Canada, Chile, Austria, Germany, Switzerland, Italy, Romania, Slovenia, Israel, Malaysia and India and he has created shadow sequences for B&Q, Nintendo, Lodotra, Suso, Sainsburys, Channel 4 and the BBC. What is this magic of light and dark that so transfixes young and old? It is the ancient art of Hand Shadows (or Shadowgraphy) - the art of creating and animating shadow images using little more than the performer's hands. Hand shadows are an ancient form of puppetry (perhaps predating all other forms) in which the puppeteer uses his or her hands to cast shadows of animals, people and objects onto a flat surface. Also known as shadowgraphy or ombromanie, it can be described as "cinema in silhouette". Performers of the art are often called shadowgraphists, shadowgraphers or hand shadowgraphers. The light source used for hand shadows is small and bright - a candle, a torch (with the lens and reflector removed) or any very small light (e.g. an LED light with no reflector or lens). The shadows are projected onto a white screen either from the front or the back. The performer sits or stands between the light source and the screen. The further the hands are from the light, the smaller the shadows will be; the closer the hands are to the light, the larger the shadows will be. The shadows are more sharply defined the closer the hands are to the screen (and the further they are from the light). The performer watches the shadows being cast rather than his or her hands during the performance, as this helps to create the shapes and movements accurately. Hand shadow puppets are a particularly engaging and special form of puppetry. You can see audience members at a hand shadow show simultaneously watching the screen and trying to shape their hands into what they are seeing. You could say it is the only puppet show you will ever see where everybody takes the puppets home with them in their hands at the end of the performance! In Drew Colby's hands the art-form is a source of comedy, beauty and wonder. "I am in awe at how many different animals you conveyed. My son and I were both captivated."